Strawberry Grape Wine 4 gallons | Kodiak Brewing: Beer, Wine, Cider, Mead Blog. 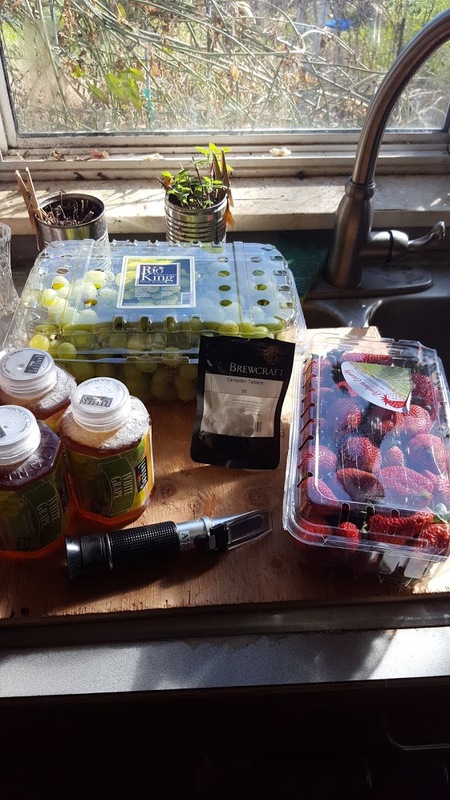 we cleaned well and blended all the grapes and berries and added to the fermentation bucket along with the frozen juice, top it off with water to 4 gallons and added 9 cups of sugar. We added 4 campden tablets ( 1 for each gallon of wine ) and left it sit overnight – recommended blend time is 12 to 24 hours – then add the yeast. The campden will kill off any wild yeasts, molds, bad things… the next day we dehydrated the packet of yeast and added to the fermentor. 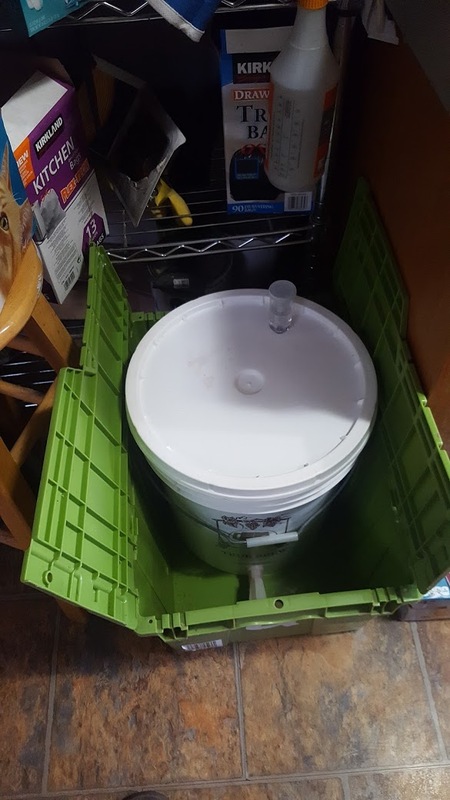 To help prevent any spills because of active fermentation, we put the fermentation bucket inside another tub. We will check on the fermentation a week into it and add any clarifiers in primary and later in secondary. In end, we check the pH and stabilize the wine and bottle. 4 gallons of delicious wine for $20 / think about that :- ) – Cheers!! This entry was posted in Wine and tagged strawberry wine, white wine. Bookmark the permalink.